Legendary Pugliese Quality... our lifetime guarantee and 3rd generation expertise. 60 years of award-winning pool & landscaping across Northern & Central New Jersey. How fantastic can your backyard look? Call Tom today to find out. 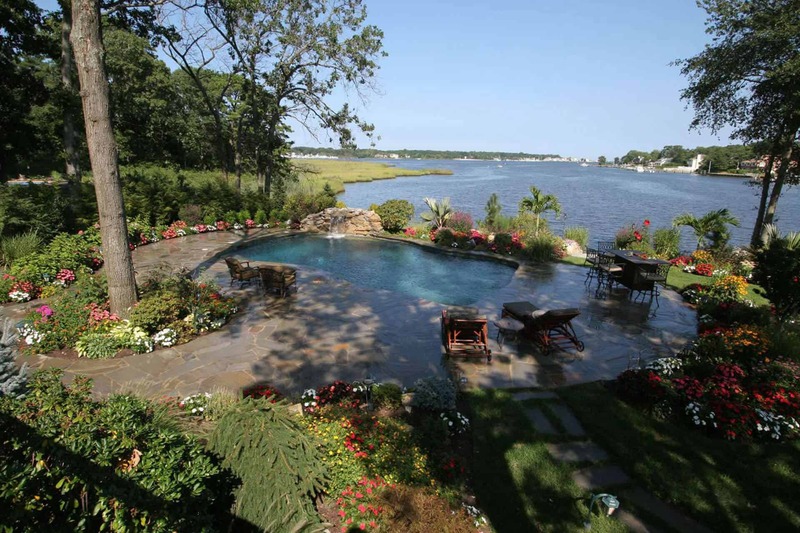 Pugliese Pools, now based in West Orange, New Jersey, has over 60 years of custom swimming pool design & construction. Over the years we have earned a high reputation for custom swimming pool design that lasts for decades. Our pools have a lifetime guarantee that our clients truly value and few of our competitors can match. We are renown for the ”Natural Look” Pool we created in the 1960s that has been emulated by other NJ swimming pool builders and national luxury swimming pool builders. We can create a luxury swimming pool design for you that is modern, traditional, natural or formal. With over 60 years experience in swimming pool landscape design, we have designed and built luxury swimming pools in every style, size and property shape. Pugliese Pools is a family owned and operated company since 1955. We love Tom AND our Pugliese pool! After researching pool builders we realized that Pugliese was the way to go. Tom is truly amazing at his “craft”… — Jodi & Glenn F.
“From 1967 to present day I have had the most precious and beautiful memories of swimming in our family Pugliese pool..” — Diane O.